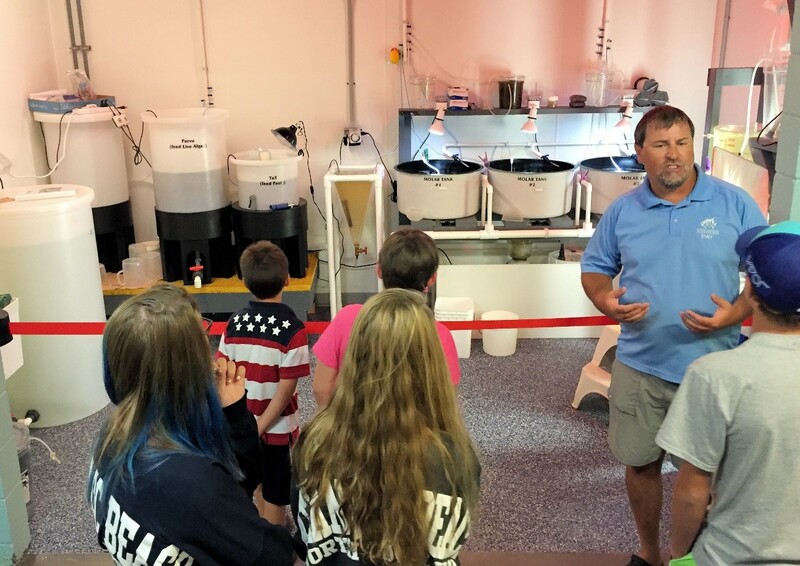 The North Carolina Aquariums useMOLARS (Modular Larval Rearing Systems) as a conservation measure to grow some of their own young fish. Developed in collaboration with Roger Williams University, New England Aquarium, Carteret Community College and the Institute for Museum and Library Services, these systems allow staff to raise blue-striped grunts from eggs. In the coming years the Aquarium hopes to raise additional species.